As World War II wore on, a few members of the British film community began to openly criticize Alfred Hitchcock for his move to Hollywood, saying that he had deserted his nation. 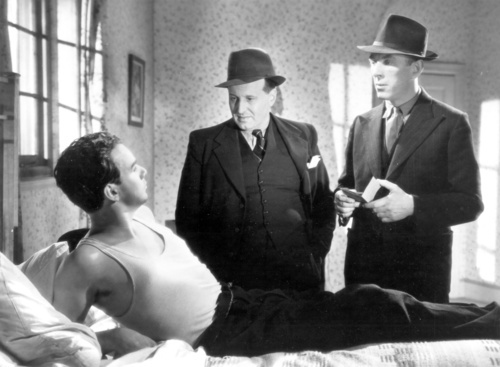 Of course, when Hitchcock came to the U.S. in 1940, the potential duration of the war was not very clear, and the blitz of London had not yet happened. Still, their words undoubtedly stung Hitchcock, who was in fact torn between his loyalty to England and to his family still living there and his new roots and responsibilities in Hollywood. In 1944, Hitchcock stole out of the U.S. and travelled to England to make his own contribution to the war effort in the form of propaganda films. 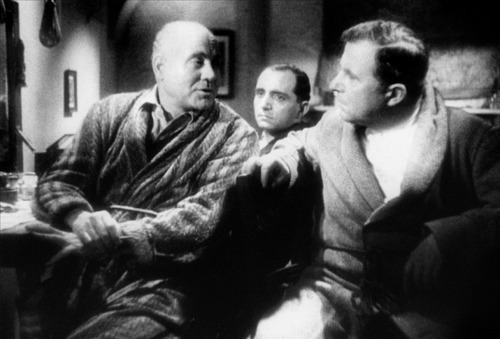 The two that are readily seen each run about half an hour; they were made in London, written or cowritten by Angus McPhail, who would work on several other Hitchcock projects. They focused on the French Resistance movement, and were filmed in French with members of the Molieres Players. Both are available for download from archive.org. 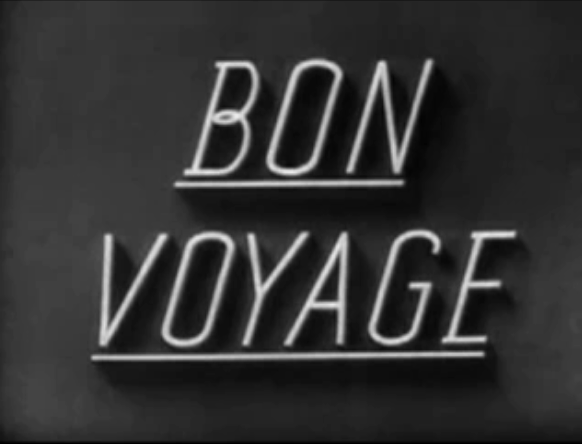 “Bon Voyage,” the slightly shorter of the two featurettes, concerns a young RAF officer and his escape with a fellow flier named Godowski from behind enemy lines in France. The officer tells his story to his superior on his arrival back in London, explaining how his friend arranged everything, from a rendezvous with members of the French Resistance to the final flight out of France, only to find out at the end that there was only room for one on the transport. 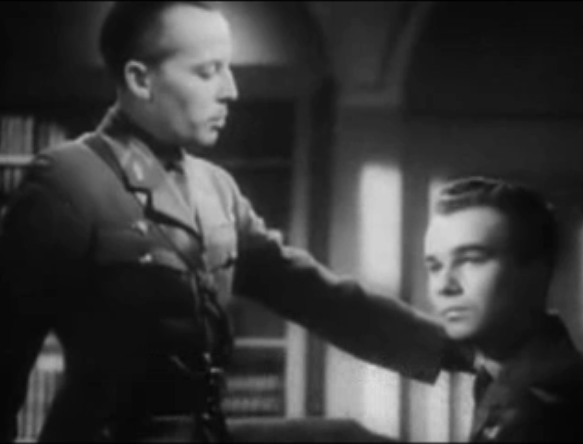 The RAF officer wins the seat in a game of dice, and Godowski asks only that he deliver an envelope in London. Of course, Godowski is himself a member of the Gestapo who used the pilot to flush out members of the Resistance and deliver a communique to another spy in London. The RAF pilot doesn’t believe it when his commanding officer explains the situation, but as the older man fills in the blanks, the young pilot realizes the truth — and is shocked to think that his actions doomed the attractive young woman of the Resistance who helped him escape. 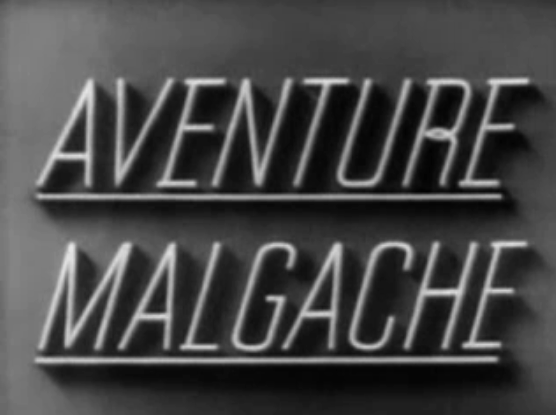 “Aventure Malgache” is set in Madagascar, then a French colony that had been taken over by Germany. The story begins with a trio of actors getting ready to perform a play – but one of them is complaining that he can’t get a handle on his character. His friend, Clarousse, tells him a story of a similar person, hoping to provide some insight into the role. Clarousse had been the leader of the French Resistance in Madascar, and the person he describes was a member of the Vichy French in Madagascar called Michel. Michel was determined to stop members of the Resistance from escaping to freedom, and took underhanded steps to stop it, such as pretending to be a defense lawyer to win Clarousse’s confidence. Clarousse was not taken in, but managed to keep up communication while in prison, enabling many to make their way off the island. The portrait of Michel, and the valor of the Resistance, builds up through “Aventure Malgache” until Clarousse escapes as well. He first becomes a pirate radio announce, then an actor, putting on stage plays about the Vichy’s treacherous ways. His friend, who needed guidance in his acting, is offended that Clarousse thinks he’s a natural to play Michel, and the film ends as they stop short of breaking into a fight, only to realize how foolish they’re being. Legend has it that on review, the British Ministry of Information deemed these films too bluntly realistic to be released. Hitchcock played a part in two other propaganda films as well. 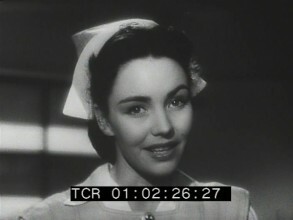 One is a 1944 war bond fundraiser called “The Fighting Generation,” starring Jennifer Jones, the actress with whom David O. Selznick was obsessed. 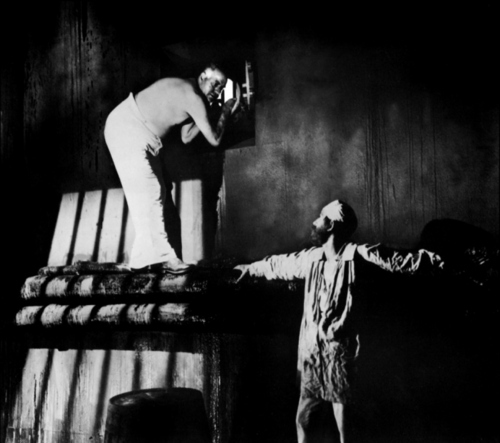 Although the film reportedly still exists, it has been locked away in the Academy Film Archive in Los Angeles since the end of World War II. However, we do have a few images from it, and you can read more about the film here. 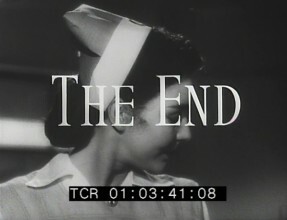 The fourth and final propaganda film Hitchcock worked on is “Watchtower Over Tomorrow,” released in 1945 and cowritten by Ben Hecht. Hitchcock is one of four directors to work on the 15-minute film, which spotlighted the Dumbarton Oaks conference that laid the groundwork for the United Nations. Whether this film still exists in any form is uncertain; I have not been able to find a trace of it beyond records at the Hitchcock wiki page or at IMDB.com.